Four undocumented Mexican American students, two great teachers, one robot-building contest...and a major motion picture. In 2004, four Latino teenagers arrived at the Marine Advanced Technology Education Robotics Competition at the University of California, Santa Barbara. They were born in Mexico but raised in Phoenix, Arizona, where they attended an underfunded public high school. No one had ever suggested to Oscar, Cristian, Luis, or Lorenzo that they might amount to much - but two inspiring science teachers had convinced these impoverished, undocumented kids from the desert who had never even seen the ocean that they should try to build an underwater robot. And build a robot they did. Their robot wasn't pretty, especially compared to those of the competition. They were going up against some of the best collegiate engineers in the country, including a team from MIT backed by a $10,000 grant from ExxonMobil. The Phoenix teenagers had scraped together less than $1,000 and built their robot out of scavenged parts. This was never a level competition - and yet, against all odds... they won! But this is just the beginning for these four, whose story - which became a key inspiration to the DREAMers movement - will go on to include first-generation college graduations, deportation, bean-picking in Mexico, and service in Afghanistan. Joshua Davis' Spare Parts is a story about overcoming insurmountable odds and four young men who proved they were among the most patriotic and talented Americans in this country - even as the country tried to kick them out. LORENZO SANTILLAN had always been different. It might have been his head. When he was a few months old, his mother dropped him on a curb in Zitácuaro, a town of about 100,000 people in the Mexican state of Michoacán. He already had an odd, pear-shaped head, but now he developed a lump on his forehead. Laura Alicia Santillan was worried. She decided that he needed better medical attention than he was getting in Mexico, so she began the long journey to the United States, eventually slinking through a tunnel under the border with Lorenzo in 1988. Lorenzo was nine months old. She was motivated by a simple desire. "We came to the U.S. to fix his head," she says. The book opens with a quote from the competition's design and building specs, reminding students to pursue an imaginative exploration of the new and the unexpected. What did the Carl Hayden team discover about the importance of imagination and creativity, in engineering and in life? What solutions does Spare Parts present for helping teenagers excel in school and build healthy friendships? What can we learn from the robotics team about reaching out to at-risk youth? Did Spare Parts change the way you see America's immigration controversy? If you could rewrite the nation's immigration policies, what changes would you make (if any)? The story of these four boys is compelling reading, but Davis also hooks the reader with his richly-written, direct, succinct profiles of these students, as well as Lajvardi and Cameron (the science teacher who co-facilitates the team). The details of the Marine Advanced Technology Education Remotely Operated Vehicle Competition in 2004 are brilliantly rendered too. (Reviewed by Rory L. Aronsky). A great feel-good tale of scrappy underdogs beating long odds. But there’s more to the story, and Spare Parts illuminates the human side of two polarizing political issues: immigration and education . . . Spare Parts is a delightful book . . . A great American story. Perhaps the most gripping popular-science book I have read. Davis takes what could have been another feel-good story of triumphant underdogs and raises the stakes by examining the difficulties of these young immigrants in the context of the societal systems that they briefly and temporarily overcame. 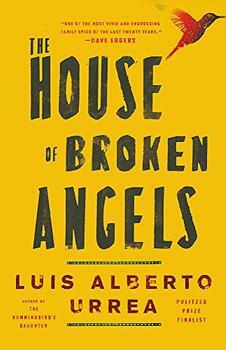 A gratifying human interest story that calls attention to the plight and promise of America's undocumented youth. Well-handled by Davis: both heart gladdening and a challenge to start making sense of national immigration policy. Starred Review. This is important reading. Spare Parts is an unforgettable tale of hope and human ingenuity. Against a backdrop of urban desert decay, a faltering school system, and our country’s cutthroat immigration policies, Joshua Davis offers a moving testament to how teamwork, perseverance, and a few good teachers can lift up and empower even the humblest among us. It's the most American of stories: how determination and ingenuity can bring triumph over long odds. There are too few stories like these written about Latino students. Poignant and beautifully told, Spare Parts makes you feel their frustration at the obstacles and indignities faced by Cristian, Lorenzo, Luis, and Oscar—and to cheer as they rise to overcome each one of them. Spare Parts is one of those rare stories that grabs hold and doesn’t let go. It’s hilarious, sad, and beautifully told. It will make you think hard about what it means to be American and where we will find the next generation of talent. This is hands down my favorite kind of story: underdogs plus ingenuity plus pluck and dedication equals a deeply moving and touching narrative. I love these kids! This book was so amazing and inspirational. It really shows how hard work, perseverance, and believing in yourself can help you accomplish greatness. The book develops the characters spectacularly, and portrays real life struggles, in and out of the classroom. On June 25, 2004, in its third year, the Marine Advanced Technology Education (MATE) Remotely Operated Vehicle (ROV) Competition, sponsored by NASA and the Navy, was underway at the University of California, Santa Barbara. Carl Hayden Community High School's team (see review of Spare Parts) was a part of this competition.